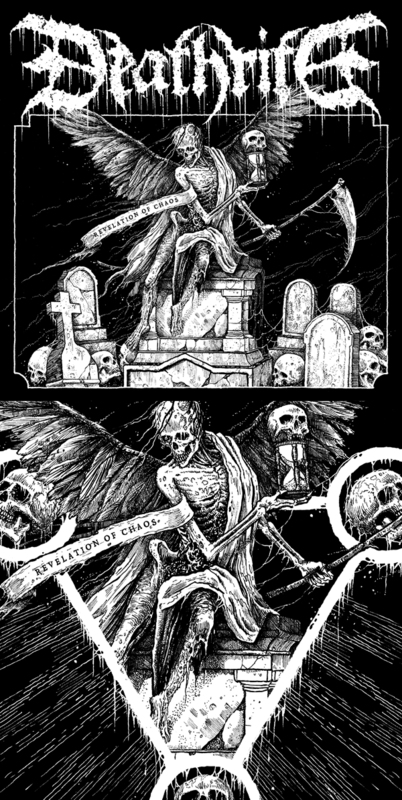 One of several illustrations I’ve recently completed for CARNIFEX (USA). This is a stylized interpretation of their logo. 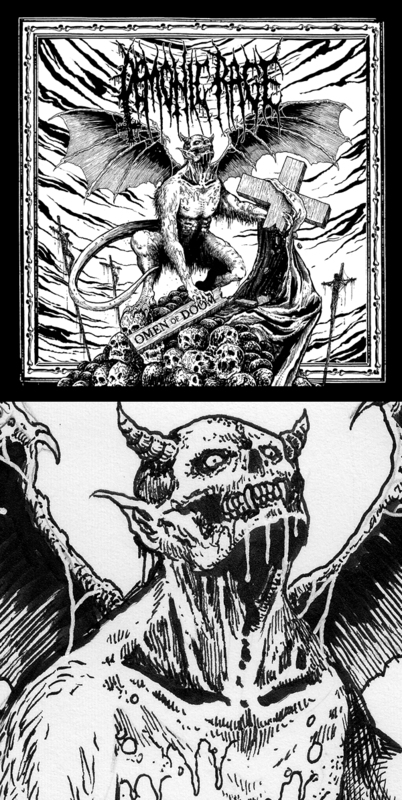 Illustration for dark death metal masters, DEMONIC RAGE (Chile). 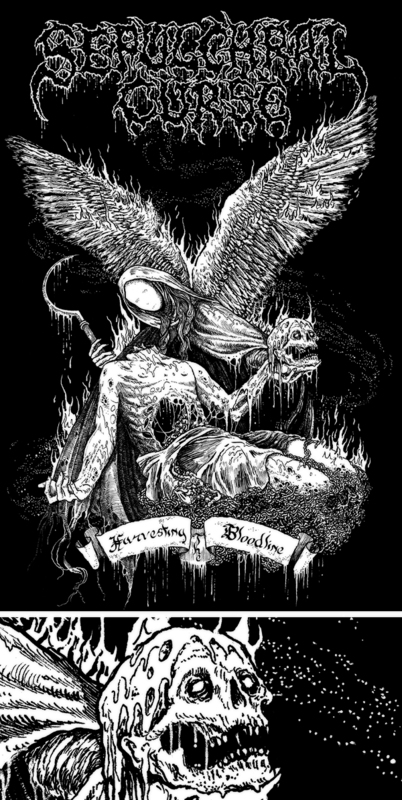 T-Shirt illustration for SEPULCHRAL CURSE (Finland). Please support real underground death metal, check them out. I have a few copies of my Logos from Hell book available domestically. This will be your last chance to get a copy from me as they’ll only be available overseas and shipping will be more expensive. I also added a few other items to my online store like a new art card set, some original drawings, and a few copies of the GRAVE WAX/REVEL IN FLESH split 7″ EP. Album cover artwork for Prosthetic Records recording artist, DEATHRITE (Germany). (DEATHRITE logo by Raoul Mazzero).